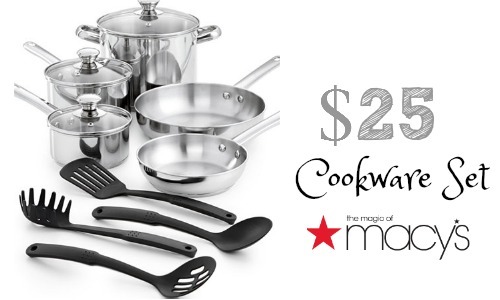 Here is a great deal on a 12 Piece Cookware Set. You can choose from Stainless Steel or Non-Stick Aluminum for $25.49, regularly $120. The set includes pots, pans, lids and even cooking utensils! It is on sale for $29.99 but use coupon code SALE to get an extra 20% off. Offer valid through 8/14. Choose FREE in-store pickup.